I drive home every Wednesday night trying to figure out what my next message in the CWL will be. On occasion I get a guest writer in the office, but I actually enjoy writing these in the evenings and sharing my thoughts. I was a newspaper editor/writer in college (mostly sports and Bar-B-Q restaurant reviews), but I decided not to follow that career path due to my lack of a flourishing vocabulary, a limit to how many creative ideas I could produce, and the fact that I could never figure out a concluding sentence to my articles. Thus, the CWL gives me a weekly chance to muse about nothing at all. Thankfully it’s not a VLOG (Video Blog) or there’s no telling where we’d go. This week’s blog is to mention the upcoming Central States Show in Schaumburg, IL. We’ll be there Tuesday-Friday and would love to see you! Gary will be buying through Saturday, but if there’s anything you’d like us to bring, shoot us an email at coins@davidlawrence.com! We can pack it up and leave it if you’re not going to make it until the weekend. While it’s a well-attended dealer show, the public has been declining in recent years, so we hope to get the opportunity to spend a little extra time with those that do drop by, and especially those that ask us to bring coins! 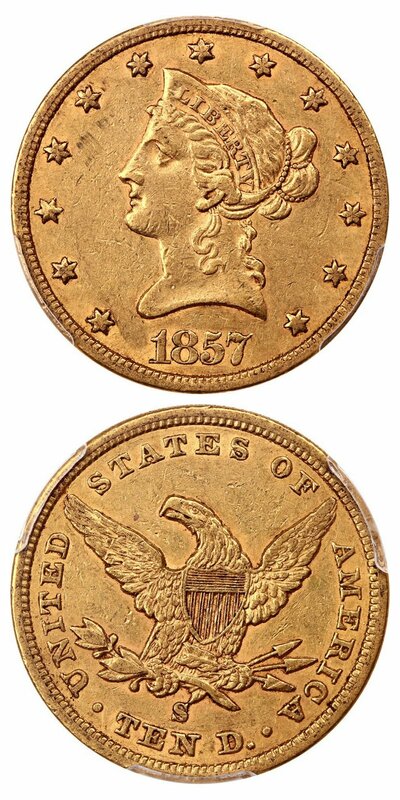 Another note of interest that is brand new to the news cycle is the discovery of an additional 1854-S $5 Gold Eagle! A classic rarity that is rather under-appreciated in comparison to many other pieces, only three previous examples were known, with one in the Smithsonian Collection, one in the Pogue Family Collection, and the third one part of the famed DuPont Collection that was stolen. This piece is truly out of the woodwork and was just graded by NGC (Their Press Release here). Discoveries like this are simply amazing, and it’s exciting for such a piece of news to enter the media! Anyhow, we’ll stop for the week and will leave you with a few coins to consider below. Please don’t hesitate to send us a message about our weekly blog, and we hope that you enjoy them! Most importantly, we hope you buy a coin, so we can keep paying for our email servers. Otherwise, my wife won’t like the fact that I’ve lost my creative outlet, and I’ll have to start telling her about coins I love! Thanks for reading! We have created a quick link to view our certified inventory valued at $1 - $250. Great for beginning collectors, starting a new set or buying a present for someone. This quick link will take you to over 1,000 Buy It Now items under $250 with new coins added weekly! 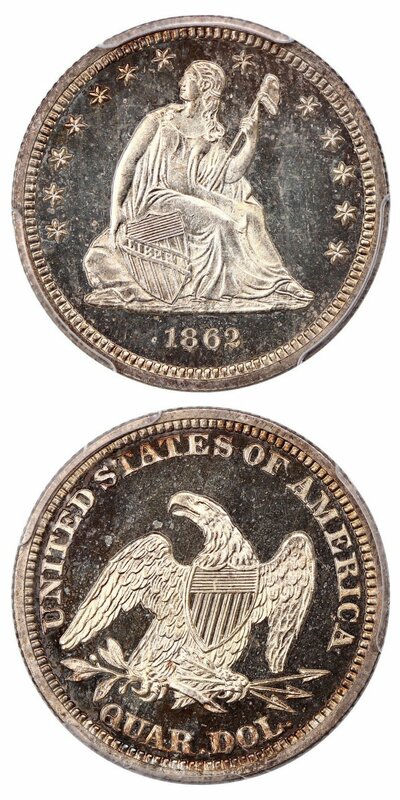 Why we love it: A scarce San Francisco Mint Issue Liberty Half Eagle from the era of the Civil War, the 1865-S is an incredibly scarce date that is completely underappreciated. Finer examples are rarely offered in public auction. Like most American sports fans, we love the underdog, and this underappreciated coin displays light wear with incredible detail and nice underlying luster. This better date S-Mint Half Eagle Issue comes from a low, original mintage of just 27,612 coins struck in which only 14 are graded finer by NGC and two by PCGS. Value: The PCGS Price Guide has this coin valued at $9,000 with the CPG at $8,400. It is available in this week’s auction with the reserve set at just $8,000. 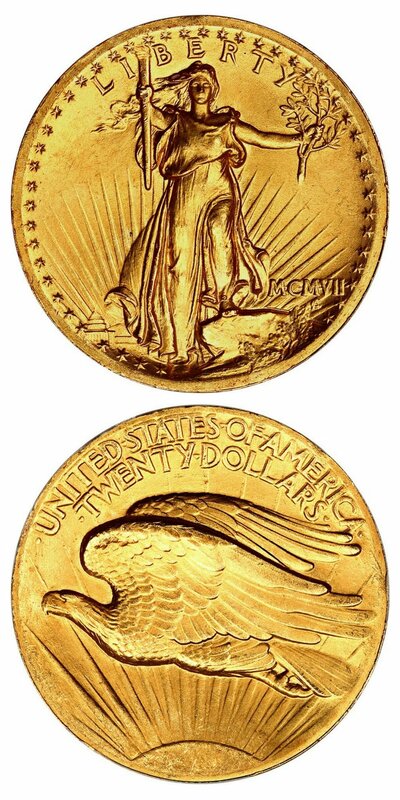 With the scarcity of other examples being offered, we love the value of this underdog in the Liberty Gold Eagle series. Why we love it: A popular, better date San Francisco Mint Issue Mercury Dime that becomes especially scarce in gem condition with Full Bands. This coin displays lovely golden toned surfaces that are covered with plenty of luster which make for premium eye appeal. 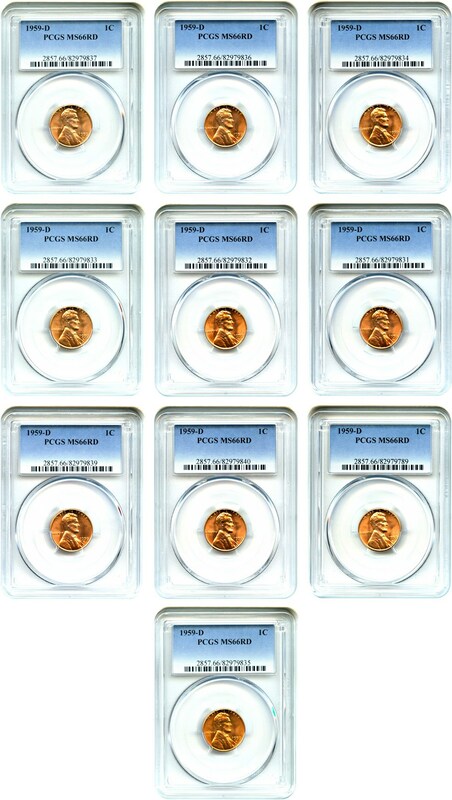 There are only three examples graded finer by PCGS! Value: PCGS Price Guide has this coin at $14,500 with the CPG at $14,200; however, it is available in this week’s auction reserved at $12,500. A finer example has not been offered since 2010 and with that bringing triple the price, we think that this is an excellent opportunity for a registry-quality acquisition. Why we love it: This gorgeous gem proof 3-Cent Piece displays fantastic eye appeal from its pristine, strong cameo surfaces and lovely, rainbow toning throughout. This Three-Cent Silver Issue comes from an incredibly low, original mintage of just 625 coins struck in which only five are graded finer by PCGS with the Cameo designation. 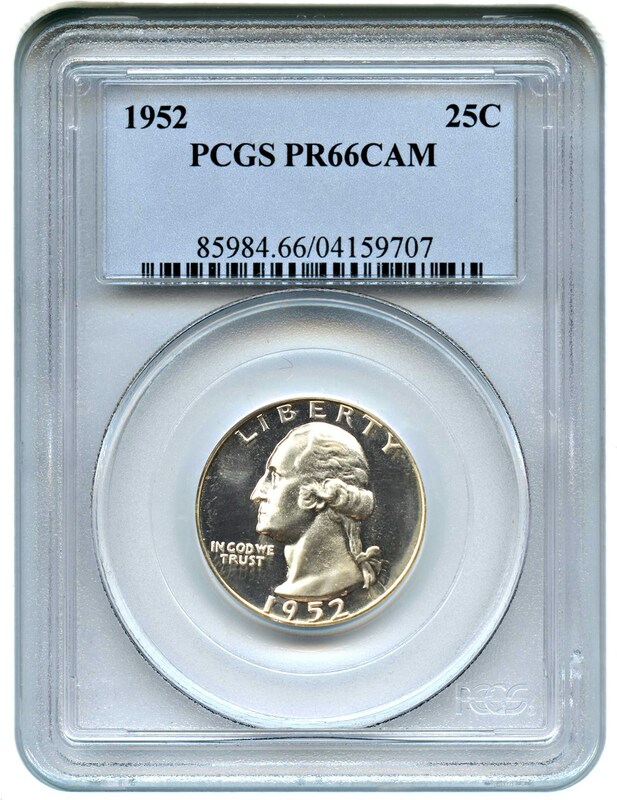 Value: The PCGS Price Guide reflects a value of $5,750, but this low mintage gem proof 3-Cent Silver piece is available via Make Offer for just $5,500! With CAC approval, this is rainbow toned example is sure to find a home quickly! Why we love it: A popular, much better date Carson City Mint Issue Morgan Dollar that is especially rare in high-end gem condition. This stunning gem example features light, original toning on both sides with pristine, lustrous surfaces that make for nice eye appeal for the issue. 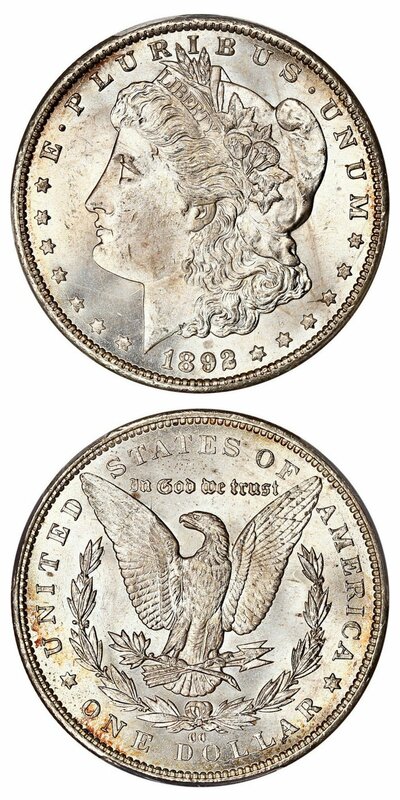 There are only five examples of this much scarcer CC-Mint Issue Morgan graded finer by PCGS. Value: The CPG comes in at $28,800 with the PCGS Price Guide more aggressively at $31,700 and the most recent auction record in 2016 showing just over $24,600. This high-grade example of this popular, better date Morgan Dollar is available via Make Offer for just $25,000 as part of our CWL special. Why we love it: A slightly more affordable example of this rare and desirable two-year type coin in which few examples have survived. This piece displays unique and captivating eye appeal with its lightly worn surfaces and stunning blue-green toning. 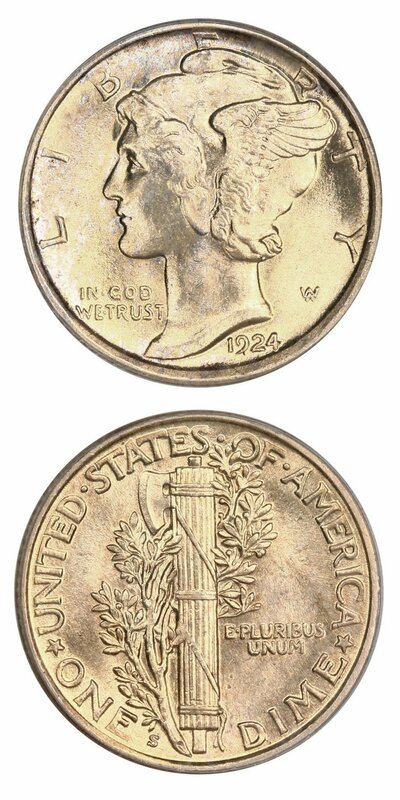 This scarce Half Dime Issue comes from an original mintage of just 86,416 coins struck. Value: The PCGS Price Guide has this coin valued at $6,750 with the CPG at $8,520. 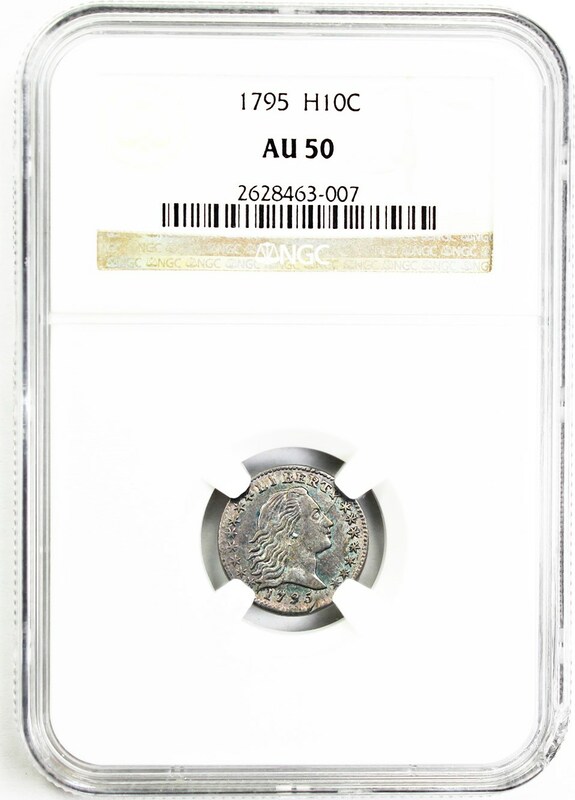 We are offering this incredibly attractive coin for outright sale for a very reasonable $5,750 through our Make Offer function. This is as cheaply as we’ve ever seen a decent example in this grade sell in many years...it seems to us to be an excellent buying opportunity. Why we love it: A scarce, low mintage gold piece struck at the San Francisco Mint. This coin displays gorgeous remaining luster and high-end eye appeal for grade resulting in CAC approval. This better date S-Mint Liberty Gold Eagle Issue comes from a low, original mintage of just 26,000 coins struck in which only nine are graded finer by PCGS. A popular, yet unavailable date as well, we love the overall potential of this date and grade, especially with this kind of quality! Value: The PCGS Price Guide has this coin valued at a conservative $5,600. The last CAC’d example brought more than $5,800 in recent months, but this piece is available in this week’s auction with the reserve set at just $5,750. Why we love it: A blazing red gem Indian Cent that is a much better date in high grades with the Red color designation. The surfaces are stunning with its bright, original coloring, incredible luster, and limited amounts of blemishes. It is so beautiful and has such high-end eye appeal for its assigned grade that it earned CAC approval. 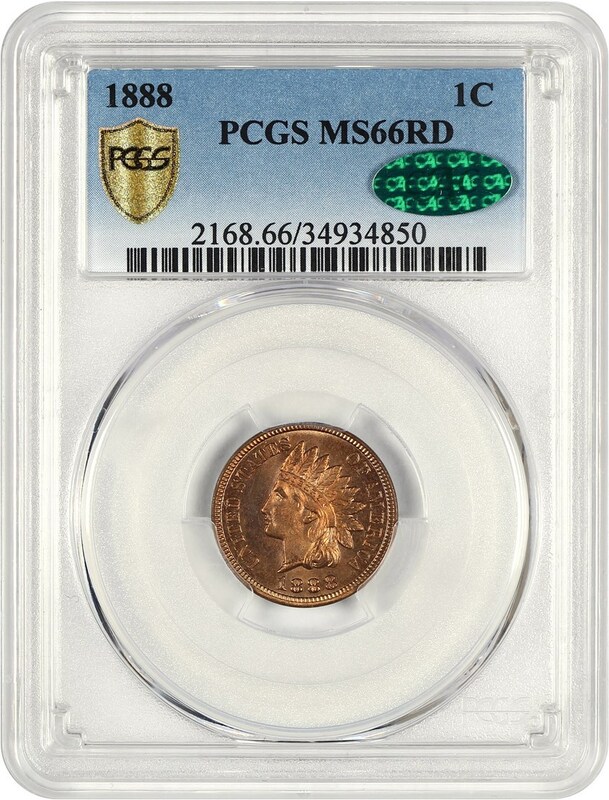 Value: The PCGS Price Guide sits at $10,500, but this lustrous bright red Indian Cent is reserved in this week’s auction for just $9,750. Difficult to come by this true red coloring, this piece is sure to go quickly in our auction ending this Sunday. Why we love it: This gorgeous Double Eagle, known as America’s Most Beautiful Coin is popular and greatly desired among all collectors. This near-gem example of the Wire Edge variety has immaculate, nearly blemish-free surfaces and ideal color. These attractive characteristics combined with its fantastic design, make for stunning eye appeal. Value: PCGS Price Guide reflects a value of $28,500 with the CPG coming in at $27,800. 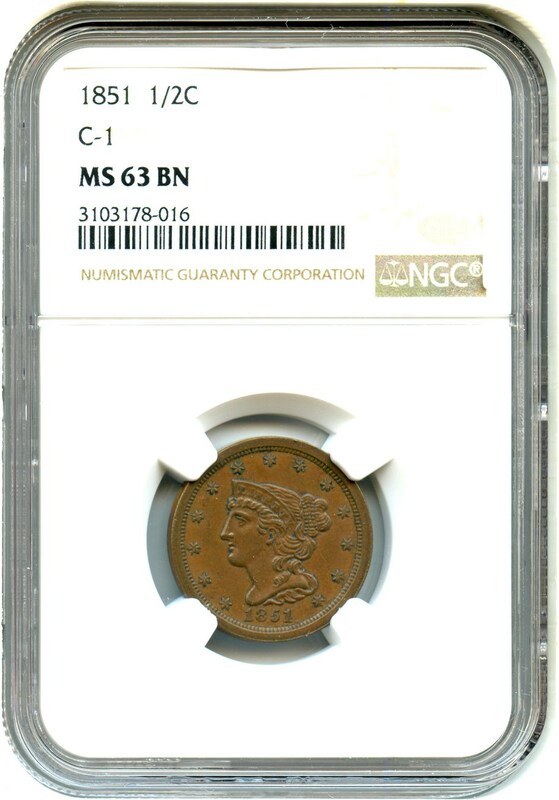 There are only 1,461 total examples in the MS64 grade at PCGS and NGC combined. Available for purchase at the incredibly reasonable price of just $24,000 with payment via check, money order, or ACH, this near-gem example of “America’s Most Beautiful Coin” is destined for a high-end collection. Why we love it: This scarce gem proof No Motto Liberty Seated Quarter displays lovely rose-gold toning, a strong cameo and pristine surfaces that make for stunning eye appeal and well-deserved CAC approval. This Proof No Motto Seated Quarter Issue comes from an incredibly low, original mintage of just 550 coins struck in which only four are graded finer by PCGS. Value: The PCGS Price Guide has this coin valued at $5,950. Our nicely toned gem example with CAC approval is available in this week’s auction reserved at just $5,250 and is a great opportunity to own one of the five nicest examples in existence! Why we love it: A low mintage issue with beautifully golden toned surfaces that feature subtle pink highlights making for premium eye appeal. This coin is a perfect one-year-type coin for the advanced proof type collector. This gem proof Shield Nickel Issue comes from an incredibly low, original mintage of just 600 coins struck in which only three are graded finer by PCGS with the Cameo designation. Value: The PCGS Price Guide has this coin valued at $6,750. It is available for purchase at the incredibly low price of just $4,500 via Make Offer! That is $2,250 below the PCGS Price Guide value for this richly toned, gem cameo proof Shield Nickel even with CAC approval! Why we love it: This attractive yet affordable type coin from the Braided Hair Half Cent series displays pristine surfaces that are nearly completely without any blemishes. This pretty, chocolate brown Half Cent features nice eye appeal with its uninterrupted, sharply detailed devices and clear, original fields. Value: The PCGS Price Guide reflects a value of $400. It is available for purchase at the fair and reasonable price of just $375 via Make an Offer! 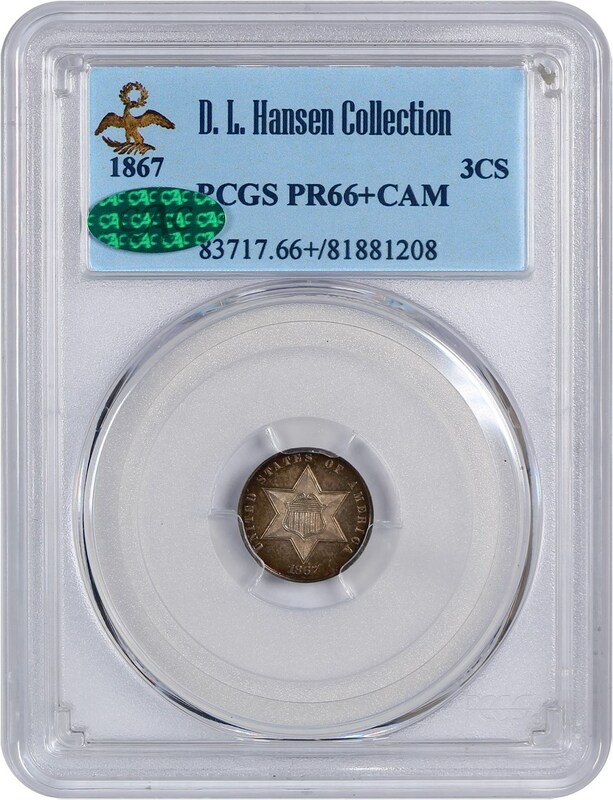 That is a solid $25 discount off the PCGS Price Guide value for this popular and affordable Half Cent type coin! Why we love it: A beautiful early brown gem Lincoln Cent with plenty of luster, few blemishes and surfaces with hints of red that make for nice eye appeal There are only eight examples of this early, better date Lincoln Cent Issue in existence graded finer by PCGS with the Brown color designation. 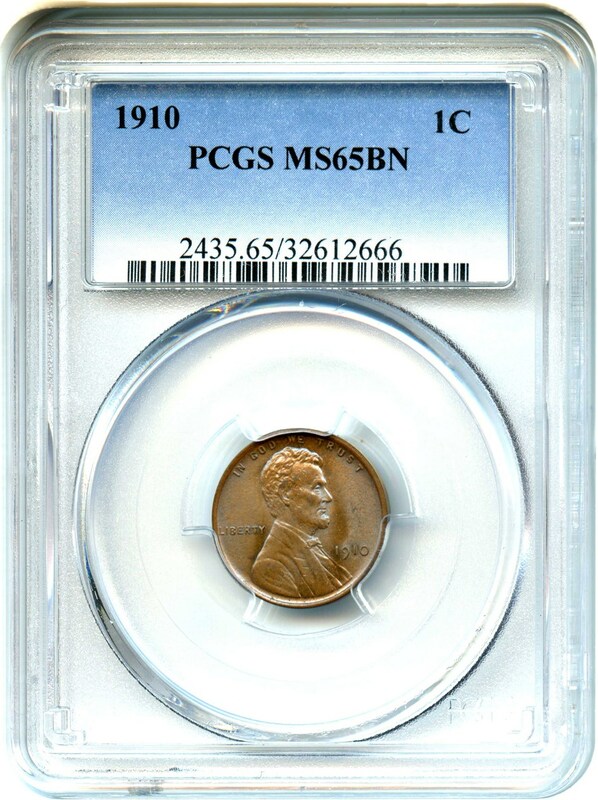 Value: The PCGS Price Guide has this coin valued accurately at $105, and we have it listed at exactly $105 via Make Offer as part of our CWL special for this lovely gem Lincoln Cent. Why we love it: This desirable and lustrous Liberty Nickel type coin displays pristine gem surfaces with a subtle hue of golden toning. Surprisingly there are only 34 examples of this popular Liberty Nickel Issue in existence graded finer by PCGS. Value: The PCGS Price Guide sits at $395; however, this coin is available in auction with a starting bid of $350. We expect this popular and desirable gem type coin for the Liberty Nickel series to find a new home after the auction ends Sunday. Why we love it: A gorgeous gem proof example of this date with strong, contrasting cameo surfaces that are nearly completely without blemish. This Washington Quarter Issue comes from a much lower, original mintage of just 81,980 coins struck in proof format. Value: The PCGS Price Guide has this coin valued at $300. It is available for purchase at the fair and reasonable price of just $275 via Make Offer! That is a solid $25 discount off the PCGS Price Guide value for this low mintage, stunning blast white gem proof Washington Quarter! Why we love it: This intriguing collector lot of ten Lincoln Cents features coins with blazing red lustrous gem surfaces. The eye appeal of this impressive set is stunning across the board as all the coins have truly pristine devices and fields that represent the assigned grade perfectly. Value: The PCGS Price Guide has this collector lot valued at a combined $320. It is available for purchase at the lower and reasonable price of just $250 via Make Offer, a solid $70 discount off the PCGS Price Guide value for this 10-coin lot of stunning gem Lincoln Cents! Why we love it: An affordable example of this popular, scarce early type coin from the Classic Head Large Cent series. 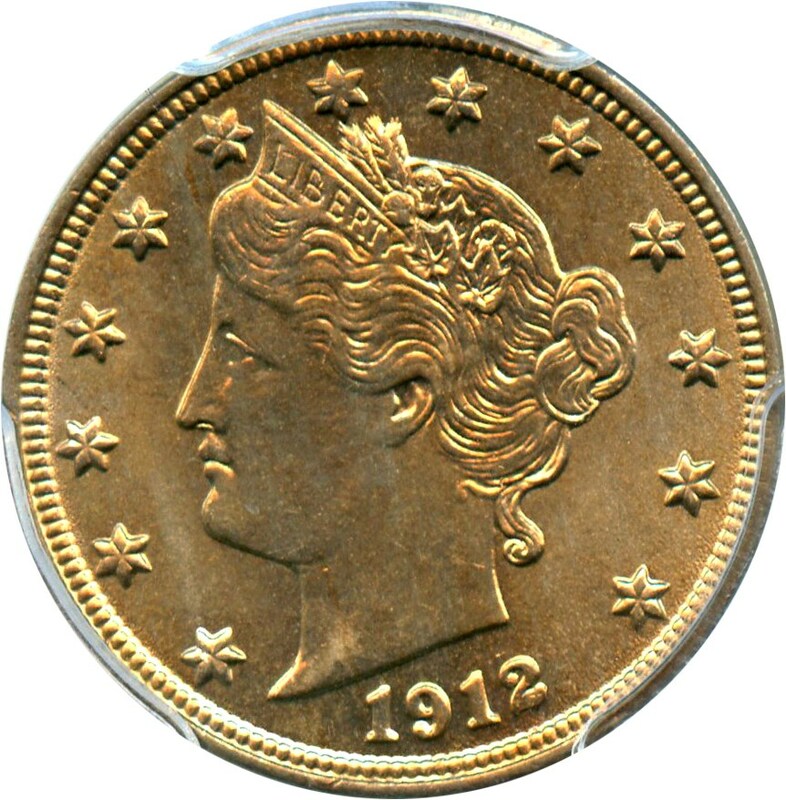 It is of the Small Date variety with just slightly damaged surfaces that still feature clear detail and attractive coloring on the devices of the coin. Value: PCGS Price Guide reflects a value of $475 in F12 and $550 in F15. It is available for purchase at the reasonable price of $300 via Make Offer. 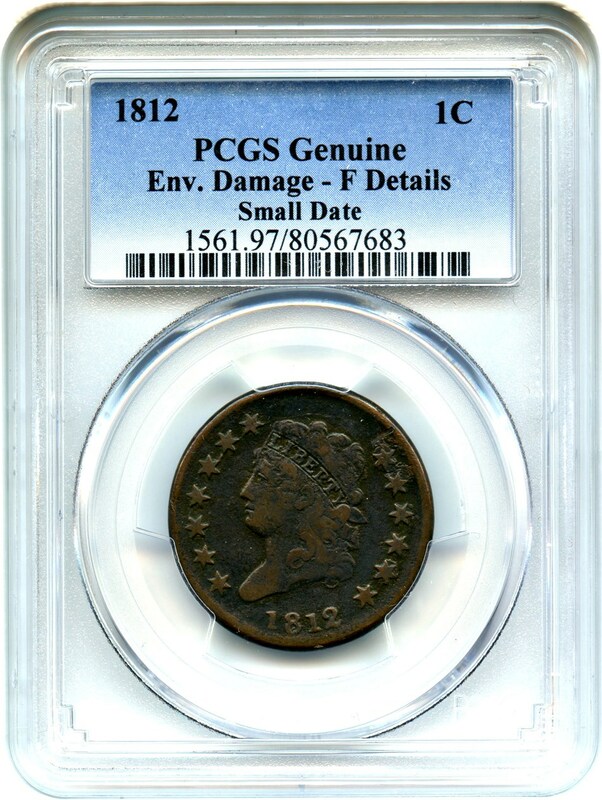 That is a fair discount in the $200 range off the PCGS Price Guide value for this fantastic, affordable Large Cent type coin that is just slightly damaged. Auction #1011 Lots Posted. Browse & Bid Now!